Ben and Joseph lose their mothers, but find a family looking just for them. Antonio is rescued from what seems like a hopeless situation. Caitlyn dares to trust that truth will set her free. Jorani is delivered from slavery into the arms of grace. Follow these real-life stories on a journey to foreign places and extreme struggles. Travel through their challenges and see the hand of the great Storyweaver — our Defender God — shielding and defending the defenseless in amazing ways. You know how much I love children and causes protecting children. So when I received this book to review, Tales of the Defended Ones, I jumped on the opportunity. I’m so glad I did. What an amazing and powerful book this is. I enjoyed Beth Guckenberger’s writing style; it was simple, easy to read and descriptive. I finished this book in a couple of hours, I couldn’t put it down. I journeyed to different parts of the world and learned about precious children. Children that perhaps seemed to have been forgotten, but weren’t. Our heavenly Father watched over their lives and had a specific plan for each of them. Beth Guckenberger refers to God as a Story Weaver. God is writing different chapters of their lives, our lives and the generations to come. We may not see the entire mosaic, but He does. He intricately weaves people’s lives and stories together in His perfect timing. I was relieved and thankful there was a happy ending for each child mentioned in this book. Because while I was reading about these children, I couldn’t help but cry. I also thought about all the other children in the world who are undergoing similar situations and need intervention too. I get overwhelmed with emotion just thinking about it. I admire people like Beth Guckenberger and her husband, Todd for caring enough about children in need. They were willing to offer up their lives as a sacrifice and help children. I honestly wish I could one day serve in this capacity without fearing for my life, financial security and a host of other things. I admire their courage and the work they with Back2Back Ministries. 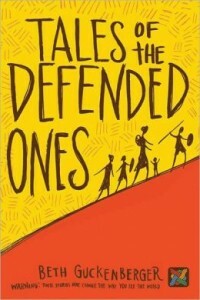 I highly recommend reading Tales of the Defended Ones, you will definitely be stirred, moved and motivated to action. Beth Guckenberger and her husband, Todd, live with their family in Monterrey, Mexico, where they serve with Back2Back Ministries. They both graduated from Indiana University with degrees in education and between biological, foster, and adopted, are raising nine children. An Atheist’s Letter to the Christian Church, Barney Adler pleads with Christians to be more like the Jesus they claim to believe in. He begs the church to convince him that God is real, because this atheist wants more than anything to believe. It was approximately a month ago when I received an email from Barney Adler requesting if I would be willing to review An Atheist’s Letter to the Christian Church. Initially, I was going to respond that I could not, based on the fact that I am inundated with review commitments, but something compelled me to read this short e-book. I’m glad I did because this was one of the most thought provoking and convicting books I have read in a long time. Besides which, this book completely baffled me. Barney Adler is a self-proclaimed atheist after being a believer, attending seminary and having a love for the Bible. I found myself agreeing with many points he made in his book. However, I was also left feeling deeply saddened. Barney Adler makes a plea at the end of his book, which left me reeling. 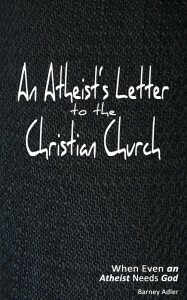 I still haven’t fully recovered from An Atheist’s Letter to the Christian Church. What I realized is that as much as I want to save Barney Adler, I can’t. I can’t save Barney Adler, nor can I save myself or anyone else for that matter. Only God can. Only the Holy Spirit can illuminate, unlock and reveal Jesus to a lost and broken world. There is only one difference between a believer and an unbeliever, one believes in Jesus’ sacrifice/salvation and the other does not. After reading this book, I am convinced the Lord is who pursues us and changes our hearts of stone to love Him. It goes beyond our logical and finite minds, it’s the work of the Holy Spirit, not our own wills. I spent years chasing after the truth. I believe the Holy Spirit revealed Jesus to me in such a way, that I couldn’t deny His existence. It was nothing of my own doing. There is no convincing in one’s flesh, no striving, the work is done only through the power of the Holy Spirit. Not by reading and memorizing a ton of Scripture. I know tons of people who read the Bible and they are no closer to God for it because it’s only a bunch of head knowledge. Faith is birthed from the heart of God by the Word and quickened in the hearts of man by His Spirit. If I was going to give a response to Barney Adler’s plea, it would be this… it’s all the work of the Holy Spirit and perfection only comes when we leave this earth, not while we are on it. If we keep our eyes on man, we will always be disappointed. Barney Adler is a Christian enthusiast and lover of the Bible—despite his atheism. He graduated from an evangelical bible college in 2008 with a focus in pastoral theology and can be found frequenting the churches of Jacksonville, FL. To talk about religion or anything else, send him an email at Barney.Adler@yahoo.com. Yet, I still seem to fear. I guess I should cut myself some slack because it’s not like everything is hunky dory lately. Between Korea threating to nuke us and the recent tragedy in Boston, well, we are definitely living in shaky and uncertain times. If I’m honest, which you all know I aim to be, I have been sensing a tidal wave coming for years now. My husband and close friends have heard me refer to hard times coming when there didn’t seem to be any evidence of it. I guess this is the reason why I related to the late Reverend David Wilkerson. Some mocked him as a “doom and gloom” preacher, however, this was furthest from the truth. I can tell you firsthand as I witnessed this humble and prayful pastor weep over his congregation and New York City for years. I watched in awe how God used this simple man to preach powerful sermons and use him mightily for this generation. I believe the mantle which was upon him was passed on to Pastor Carter Conlon. Much like Elijah with Elisha in 1 Kings 19:19. The Word coming forth at the pulpit lately has been powerful indeed. Pastor Carter came out with a book a few months ago entitled, Fear Not: Living Courageously in Uncertain Times. He also just came out with a new book which he is encouraging every Christian to read, Unshakeable: Trusting God When All Else Fails. He is not making any profit off of his books. One hundred percent of the proceeds goes toward helping feed children. I need to read these books, sooner than later. I need the encouragement. I can’t quite put my finger on it, but I’m not sensing peace lately. I’m uneasy, restless and feeling tension in the atmosphere for quite sometime now. Needless to say, I have been praying a lot. 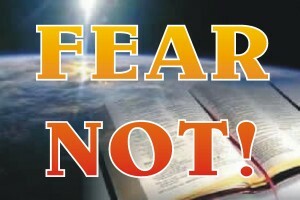 Not sure, what is coming, but God knows and continues to speak to me by saying, Fear not. So I am holding on to His promise for dear life and I hope you will too. In conclusion, I wanted to ask those of you who are reading this post, if you wouldn’t mind praying and interceeding for this country. May we all draw closer to the Father and each other in the days ahead. Thank you for praying, interceeding and standing in the gap with me. May the Lord receive all the glory and His name be lifted high. For I know that my Redeemer lives. In Jesus’ Name I pray. Amen. Why is Today Your Best Day? The fact that God loves you, that He cares about you, and that He is on your side are three key reasons. In addition, there are God’s faithful promises, the fellowship of Jesus, and the power of the Holy Spirit. 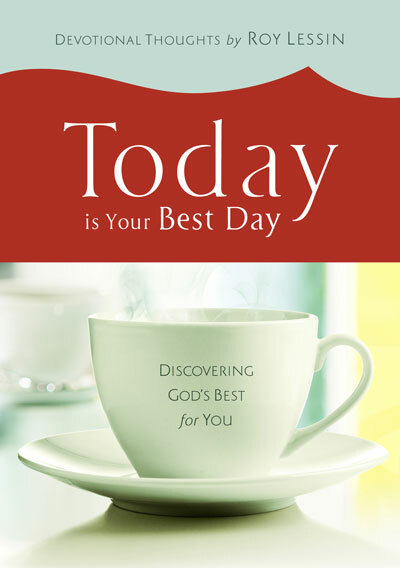 In all, Today is Your Best Day helps you discover 60 life-changing reasons – all with biblical perspective from best selling author and one of the world’s best known inspirational writers, Roy Lessin. Lessin’s writings help you focus your thoughts on what really matters – providing inspiration and encouragement for your day. These heartfelt devotional thoughts will help you walk with the assurance of what your heart knows, not the uncertainty of what your eyes see. No matter what happens, remember, when your life is in God’s hands, every day is your best day. I received Today is Your Best Day over a year ago. I was finally able to pick it up and begin reading it every morning. I have read many devotionals, but this one is the best I’ve read in a long time. I will be going through it again. Roy Lessin pours wisdom and encouragement into his daily devotions. God’s heartbeat is evident on each page of Today is Your Best Day. I felt as if the Lord was speaking to me every morning. Life isn’t getting easier and by reading this devotional it helped give me hope to face each day. Today is Your Best Day is uplifting and inspiring. I highly recommend it to everyone. In conclusion, I want to thank New Leaf Publishing Group for sending me a complimentary copy of this book to review. Roy is co-founder of DaySpring, now a subsidiary of Hallmark Inc. and the largest Christian greeting card company in the world, where he served as a senior writer for 37 years. He has written many devotional and gift books. Roy is a graduate of Bethany Fellowship in Minneapolis, Minnesota. Following his studies, Roy and his wife Charlene served as missionaries in Mexico and Puerto Rico. They have two children, Joe and Lydia, and four grandchildren. Baptist Preacher Takes the “Weird” Out of the Supernatural. Demonstrating humor, candor, and personal vulnerability, this Southern Baptist preacher offers an entertaining, non-religious look at the Holy Spirit. He shares transparently, recounting his own history of depression and panic attacks until Jesus rescued him and showed him how to do the works of the Father. As Norris explains, “I had no paradigm for that.” Then he challenges readers to engage with the supernatural. Even though Jesus said we will do even greater things than he did, we don’t. Norris’s engaging narrative style lowers readers’ defenses and opens their minds to the idea that these “greater things” are more attainable than they think. Because we are loved more than we imagine, says Norris, we are more capable of doing the Father’s works than we have ever considered. I have been sitting on this review for over a week now. There is so much on my heart, I don’t even know where to start. I talk a little bit about it on this blog post. To say that reading Signs, Wonders and a Baptist Preacher turned my world upside down is a complete understatement. My mind is still spinning. When I had selected this book to review, I had a secret agenda to discredit it. However, I couldn’t find anything to discredit; not the book nor the author, Chad Norris. Whom, I had the sincere privilege of speaking to via Skype, not one time, but twice. I really had to see for myself if this guy was for real. Sure enough, he is. Not only is he the real deal, but he’s also authentic, genuine, down to earth, funny and a nice guy. I want to be his friend now. I just have one thing to say about Signs, Wonders and a Baptist Preacher, you all need to get your hands on it and read it. There isn’t a book out there quite like it. If you have any doubts, are skeptical or cynical like me when it comes to the supernatural, well then, this book is for you. There is nothing over the top or sensational about this book at all. This is by far the best book I’ve read on the subject. 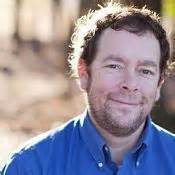 Chad Norris openly and transparently shares how he went from a baptist preacher who doesn’t believe in signs and wonders, to a believer. 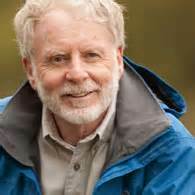 He writes about his life and he does so with depth, sincerity and a sense of humor too. I really enjoyed reading this book and learned a lot. 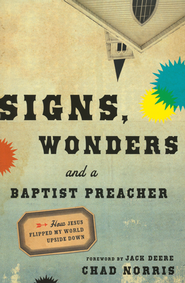 Signs, Wonders and a Baptist Preacher provoked, challenged and changed me. I highly recommend it. In conclusion, I want to thank Chad Norris for his kindness and gracious hospitality via Skype. I also want to thank Chosen Book for sending me a complimentary copy of this book to review. Chad Norris currently serves on the staff of City Church in Simpsonville, South Carolina, as the Director of Life Transformation. He loves the art of storytelling, and his ministry includes speaking to students and adults in a variety of settings. 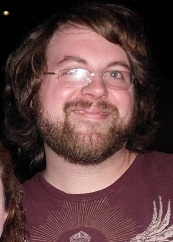 He has an MDiv from Beeson Divinity School in Birmingham, and he cofounded Wayfarer Ministries in 2000. 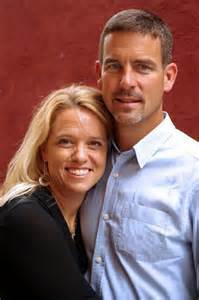 Chad has co-written numerous Bible studies and coauthored six books. He and his family live in Greenville, South Carolina. You can follow him on Twitter.